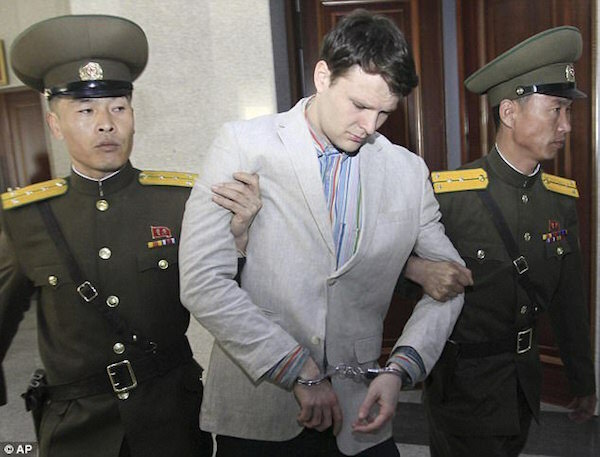 The United States will bar Americans from travelling to North Korea in the coming weeks, two travel agencies said Friday, a month after a US tourist, student Otto Warmbier, died following his imprisonment by Pyongyang. China-based Young Pioneer Tours, which had taken Warmbier to North Korea, and Koryo Tours said the ban will come into force on July 27 — the anniversary of the end of the Korean War — with a 30-day grace period. “We have just been informed that the US government will no longer be allowing US citizens to travel to the DPRK (North Korea),” Young Pioneer Tours said on its website. “After the 30-day grace period any US national that travels to North Korea will have their passport invalidated by their government,” it said. The company did not say who had notified it of the ban, which followed its earlier announcement that it would no longer take Americans to North Korea in the wake of Warmbier’s death last month. Koryo Tours general manager Simon Cockerell told AFP that his company was notified by the Swedish embassy in Pyongyang, which usually acts on behalf of the United States in North Korea since Washington has no diplomatic ties with the isolated regime. The official announcement “will basically end American tourism” in North Korea, Cockerell said. Travellers wanting to visit the North must go with a tour company. Americans are required to fly to Pyongyang from Beijing, while other nationalities are allowed to go by train. But the US State Department has strongly warned Americans against travelling there. Warmbier, 22, died after being medically evacuated to the United States suffering from severe brain damage. He had spent 18 months in captivity in North Korea. US President Donald Trump blamed Pyongyang’s “brutal regime” for his plight. North Korea accused the United States of waging a “smear campaign” and denied that Warmbier was tortured or abused. The University of Virginia student was arrested at the airport as he was leaving Pyongyang in January last year and sentenced at a show trial to 15 years of hard labour for stealing a political poster from a hotel. His case added to already high tensions in the region over North Korea’s weapons ambitions, culminating in the country’s successful test launch earlier this month of an intercontinental ballistic missile that experts say could reach Alaska. Young Pioneer Tours, founded in 2008 by a British expat, came under fire after Warmbier was flown home in a coma following a flurry of secret diplomatic negotiations between Washington and Pyongyang.